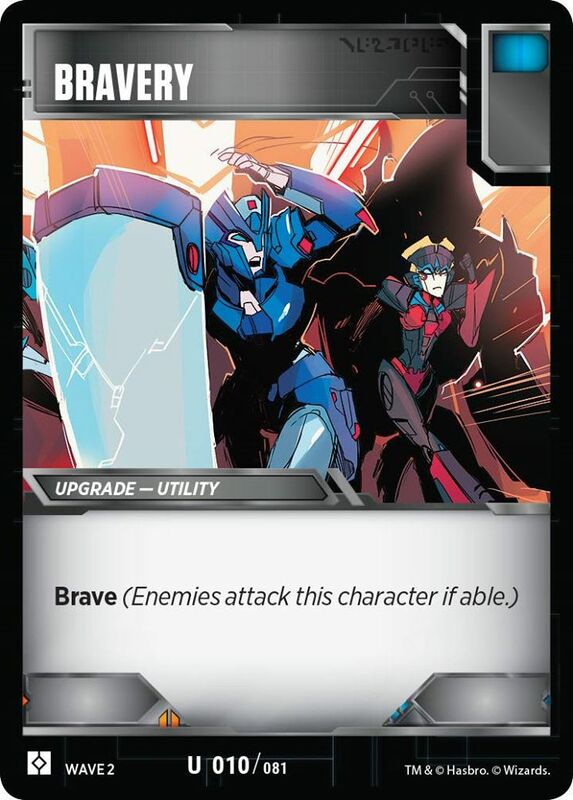 The official Transformers Trading Card Game Facebook had uploaded a note by Design Lead for Transformers TCG Ken Nagle where he reveals two new battle cards for the game: Bravery And Stealthiness. The new Rise Of The Combiners booster pack will hit shelves on March 1st. 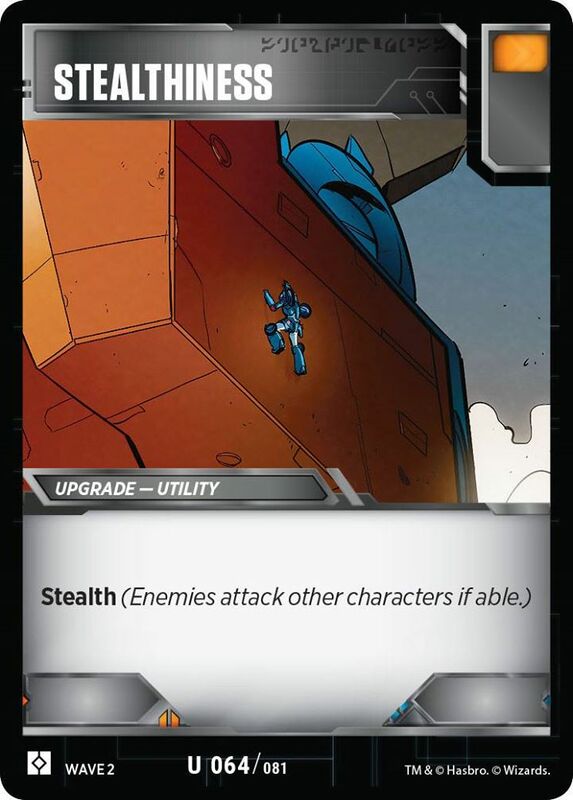 Animated Prowl uses the Stealthiness card. Question for people who know this game… Is there currently a way to equip a character with *both* of these cards? And if so, what would happen? I don't think there is anything that lets you equip 2 utilities. But both cards say "if able" so they would just cancel out and not do anything.